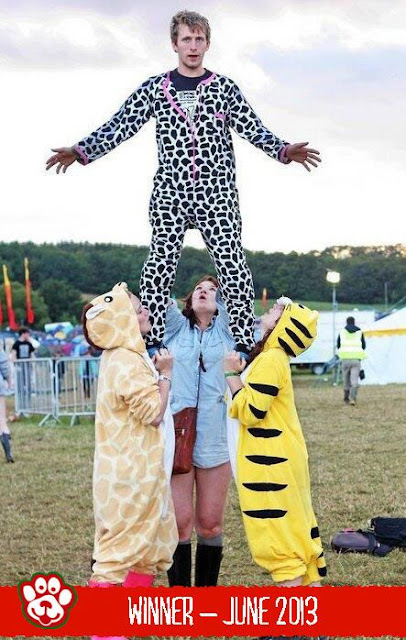 Three of our favourite animal costumes have made a comeback this week. They have been out of stock since February due to various issues, so we're chuffed to bits to welcome them back. They're also among the most adorable, fierce and cool costumes we sell, so you guys will be happy about it too no doubt. It's safe to say we're excited about this comeback, perhaps even more than Elvis's (which we're still waiting for by the way, hmph). 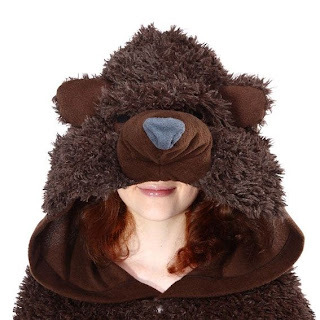 The fuzzy bear kigurumi onesie costume is one of the cutest costumes we have, with his squishy nose and eyes that can barely see out through his fuzzy fur, which covers the hood and some of the body too. More teddy than grizzly bear, he'll make even the ugliest mug look cute as hell. 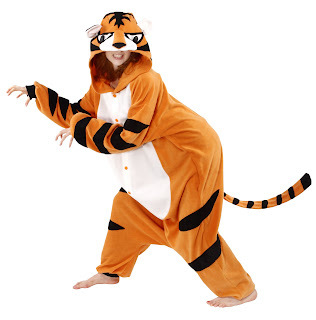 The Bengal Tiger Kigurumi Onesie, is another costume that we're very pleased to see again. So named because of his orange material, and Bengal Tigers are a more orange-y breed. He's very popular, and with his large eyes and long tail you can see why. Managing to straddle the line between fierce and cute is a difficult task, but the Bengal Tiger Kigurumi Onesie pulls it off magnificently. 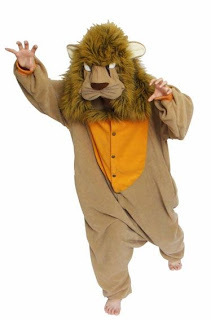 Lastly, but there's no way we would ever dare to imply that it was least, it's one of the most fearsome and realistic animal costumes on the market - the Lion Kigurumi Costume. Designed for adults, and an all-in-one costume, the lion's beauty is in its mane - a full head of fur on the hood which looks as luxurious down as up. The slanted white eyes complete the look well - there's no attempt made to make this guy look cute. He's all about the ferocity. 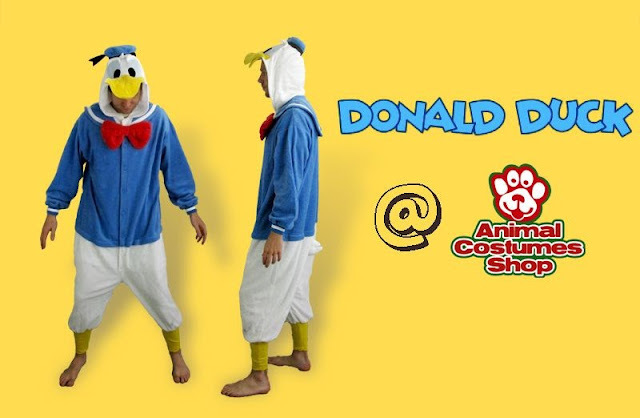 We've got a hilarious and amazing new product to tell you about - it's the Donald Duck Kigurumi Costume. Donald is one of Disney's oldest and most famous anthropomorphic creations, first appearing in 1934. He's a white duck with yellow feet and beak, normally depicted in a blue sailor jacket with matching cap. Personality-wise, he's a good guy but sometimes short-tempered and angry, especially when he finds himself playing second fiddle to his best friend Mickey Mouse, or when one of his get-rich-quick schemes unravels. The product is officially licensed by Disney, and designed in Japan. It's an adult all-in-one costume in the 'kigurumi' onesie style. 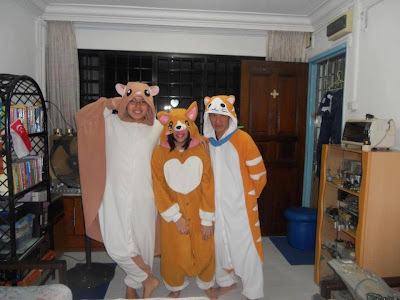 Kigurumis, a Japanese craze, are hillarious and comfy costumes which are designed to be used as pyjamas as well as fancy dress or cosplay costumes. As such, it's really soft and made of a polyester fleece material. The Donald Duck kigurumi costume will fit adults as tall as about 6'1", or taller if you don't mind it being a little tight. It fastens at the front with buttons and features Donald Duck's face on the hood, with an oversized red bow tie at the top of the body suit. 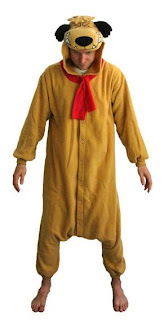 You can buy the Donald Duck kigurumi costume here. Here's the latest batch of photos, shared or sent in by you - our wonderful customers. To share your pics, just post them on our Facebook wall, Tweet or email us. Each month we give away a £50 voucher to our favourite photo of the month. Thanks to Kirsty for sending us this animal costume photo. We think she's a frog. In a nice way. Jonny and his mates partied too hard. 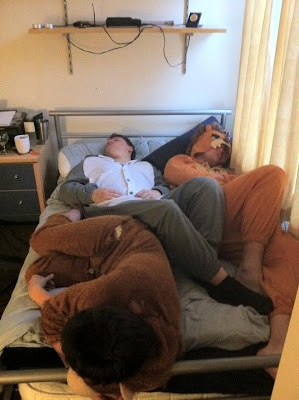 Luckily they were wearing their kigurumis so they were well prepared for crashing out. Thanks to Mel the bat for sending us this photo. Thanks to Karen the cat for sending us this photo. 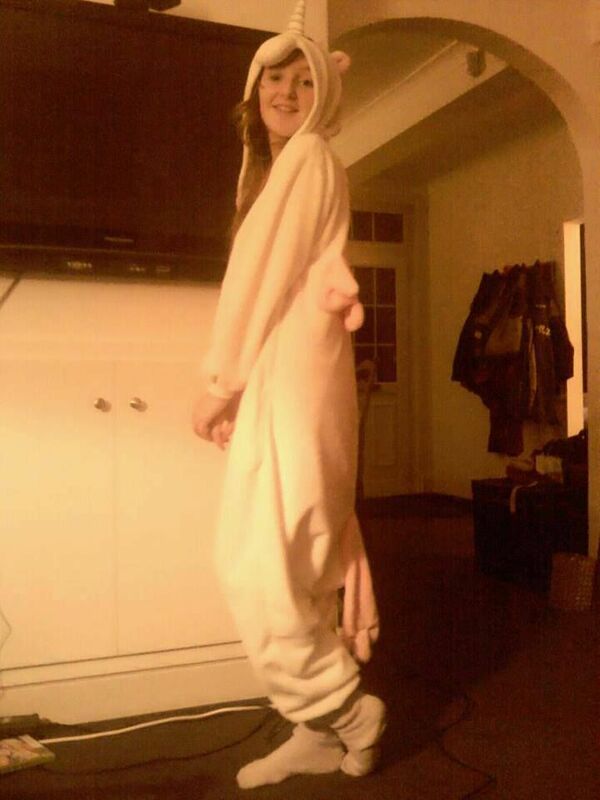 Thank you to Faith for sending in this photo which features our pink unicorn kigurumi costume. Thanks to Kyle for sharing this pic. 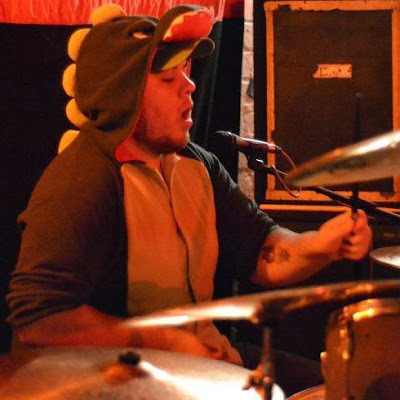 He's playing the drums in our dinosaur kigurumi costume. 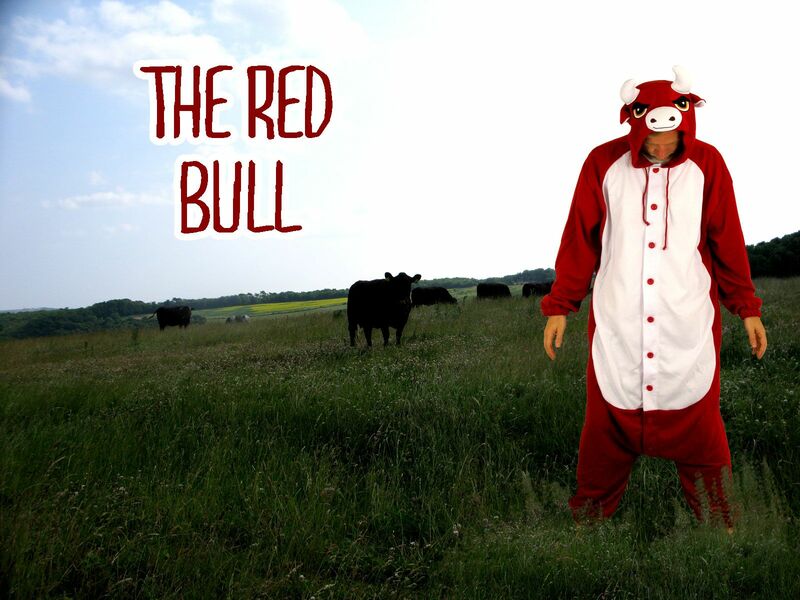 The Red Bull kigurumi costume is here! We're really excited about this new addition to our already-staggering line up of kigurumi onesie animal costumes. So excited in fact, that we took him out for a photo shoot in the Sussex Downs last week - the results of which are displayed above. The cows didn't seem to mind too much. The bull kigurumi costume is designed for adults, and is available in three sizes covering people as short as 4'11" or as tall as 6'4". As you can see it's a bright red all-in-one onesie suit, with a bull's face on its hood complete with shaped horns, eyes and padded nose. It also has a tail at the back. Great for farmyard fancy dress themes, or even Halloween fancy dress since bulls are pretty darn scary , especially when you're out in a field dressed in a bright red costume! It's also very comfortable and you might prefer to use it as pyjamas/loungewear. This is very exciting. 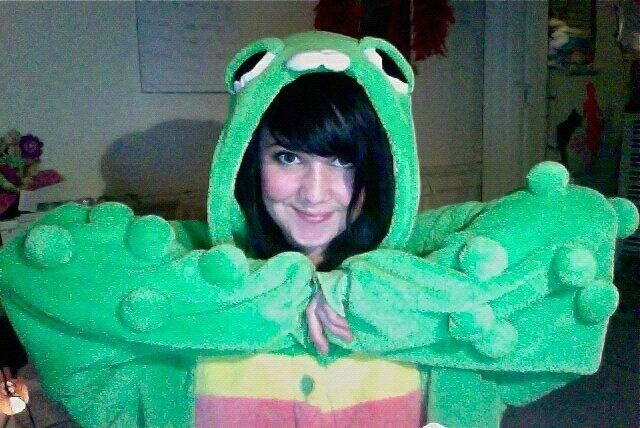 It's a brand spanking new, fresh off the boat, hot off the press, new in the, erm, shop - kigurumi onesie costume. It's Muttley the dog. If you're not familiar with Muttley, you can be forgiven as he hasn't been on TV screens for a while. Originally he was the co-star of the 1960s animated TV show Wacky Races, which was made by Hannah Barbara, who also made Scooby Doo. Muttley formed half of an evil duo, Dastardly and Muttley. Each week they would race against other wacky racers - the rest of them being good guys - and attempt to cheat their way to victory using a dastardly cartoon villain arsenal of dynamite, anvils, pianos et cetera. Each week they would come to an inevitable sticky end. Muttley is most well known for his iconic wheezy laugh, which is impossible to spell out in blog text (we just tried it) so check out the video at the bottom of this post instead. The costume itself is an all in one kigurumi onesie for adults. 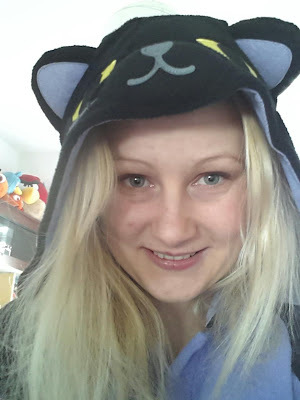 This means that it is very comfortable indeed, being loosely fitting and made of a soft and warm polyester fleece. You can even use it as pyjamas if you like, although don't let that stop you from wearing it to a fancy dress party - especially if there is the theme is animals, dogs, nostalgia, cartoons or the letter 'M'. It's officially licensed and designed for adults up to about 6 foot 1 tall (that's about 185cm). 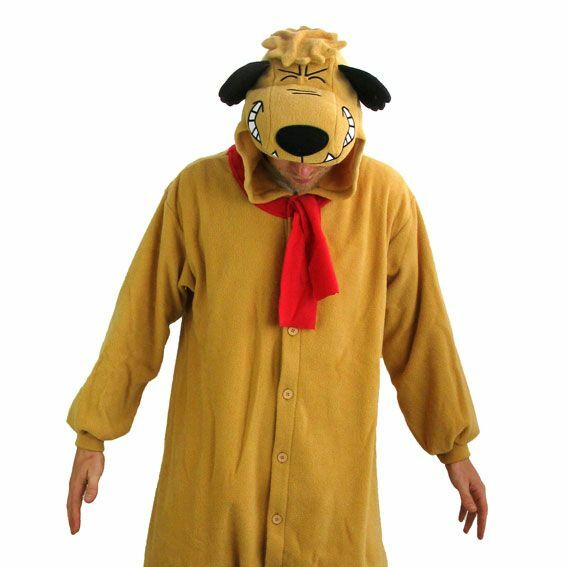 Visit animalcostumesshop.co.uk/muttley-kigurumi-costume-13052-p.asp to buy it now. 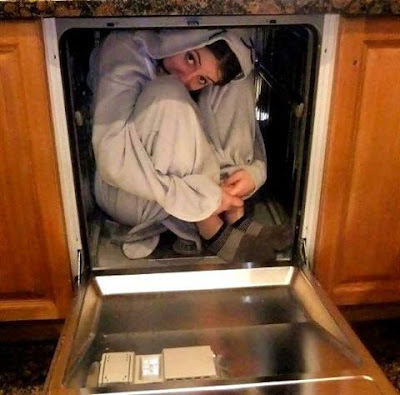 This one features Esme in the oven, in our seal kigurumi costume. Thanks to Freya for sending in this pic featuring our cow kigurumi costume. 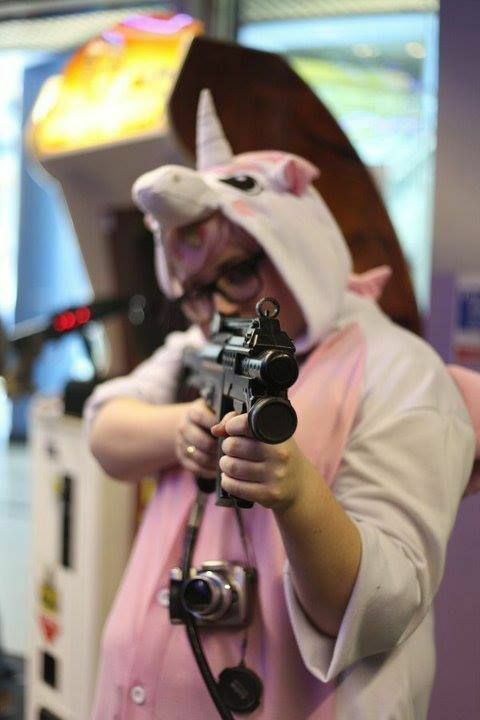 Thanks to Freya for sending in this photo of a deadly pink unicorn. This one came close to winning the July prize. This range of hilarious Angry Birds costumes, new in stock today at Animal Costumes Shop, are officially licensed franchise merch. And they are seriously good fun. Ginormous, oversized and bright, you're sure to be the centre of attention at any fancy dress party in one of these app-tastic outfits. 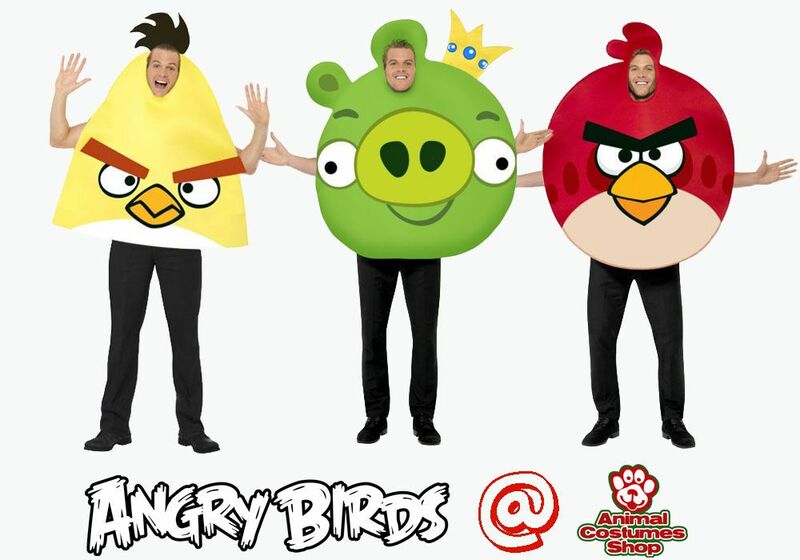 They're really well made and capture the likenesses of the 2D Angry Birds characters really well. The flexible polyester outfits fit on over the wearer's head, and leave gaps at the sides for your arms. Kind of like a tabard, but with a huge Angry Birds face on one side. They will work fantastically well for fancy dress parties and festivals, especially if there is an animals or computer games fancy dress costume theme. Who are the Angry Birds? In case you're not familiar with the Angry Birds franchise (where have you been? ), it was originally an Iphone game app, which was released in 2009. The gameplay was incredibly addictive, and involved launching the different birds from a catapult at evil green pigs. The pigs, who had stolen the birds' eggs in the game's intro, would be protected by increasingly complex structures that the birds would have to avoid or power-through. The game quickly became the most successful app of all time, which led to a number of new spin-off games, and plans in the pipeline for a feature film and TV show. Check out the original Angry Birds trailer below. It's that time again. 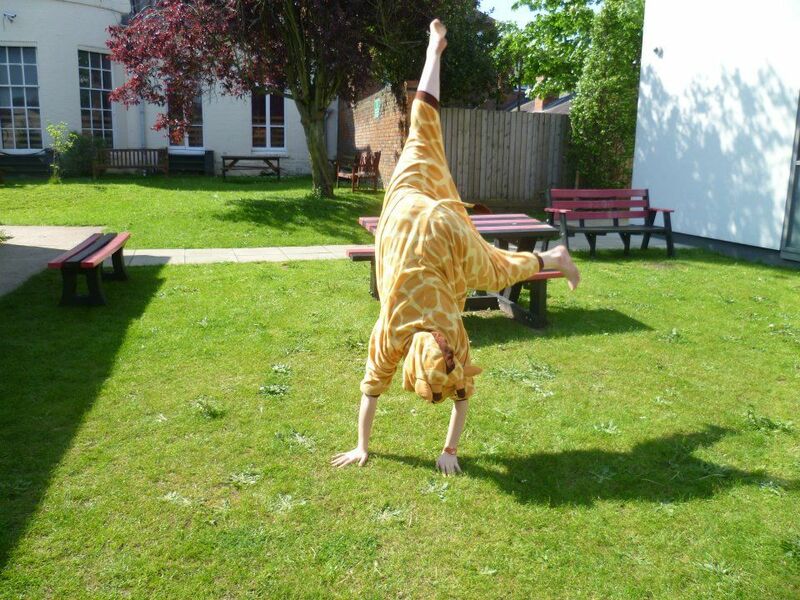 A new month has begun and it is time for us to announce another animal costume picture of the month. We've opted for this impressive display, which Michelle shared with us on Twitter. 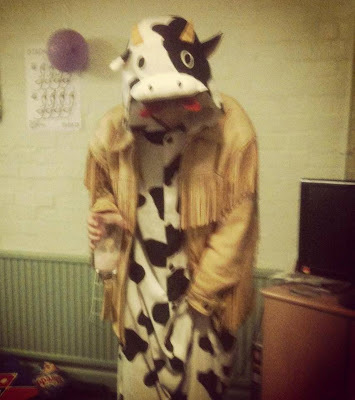 Congratulations to Michelle, who wins a £50 voucher to spend at the Animal Costumes Shop website. June being the start of the festival season and all, we thought it was a pretty good time to be going with a festival-themed photograph, and this one, with its impressive and slightly unnerving display of circus skills, was a real gem. To everyone else, thanks for taking part. Keep sending us those costumed snaps - we love receiving them and we'll be giving away yet another £50 voucher at the end of July. To see all the entries we've received so far, check out the Your Photos section of our blog.